A featured story in Politico’s playbook confirms Breitbart’s previous reporting that Paul Ryan could emerge as the party’s nominee should Donald Trump be blocked from receiving 1,237 delegates outright. As Breitbart News reported, Paul Ryan has a two-decade long record of pushing open borders immigration policies and has been one of Congress’ most vocal proponents of trade policies that would offshore American jobs overseas. Each year the U.S. adds nearly two migrants for every one GOP primary voter in Wisconsin. However, Paul Ryan has pushed to make that number even larger. Also, as a result of unbridled Muslim migration into the United States, more than 2,100 U.S. girls in Wisconsin — the state represented by Ryan — are at-risk of suffering the anti-Western practice Female Genital Mutilation, according to the Population Reference Bureau (PRB). Politico’s Mike Allen writes that “one of the nation’s best-wired Republicans, with an enviable prediction record for this cycle” tells him that there is “a 90 percent chance that delegates turn to Ryan” if Trump doesn’t get to 1,237. On the eve of the Wisconsin primaries, top Republicans are becoming increasingly vocal about their long-held belief that Speaker Paul Ryan will wind up as the nominee, perhaps on the fourth ballot at a chaotic Cleveland convention. One of the nation’s best-wired Republicans, with an enviable prediction record for this cycle, sees a 60 percent chance of a convention deadlock and a 90 percent chance that delegates turn to Ryan — ergo, a 54 percent chance that Ryan, who’ll start the third week of July as chairman of the Republican National Convention, will end it as the nominee. Ryan, who’s more calculating and ambitious than he lets on, is running the same playbook he did to become speaker: saying he doesn’t want it, that it won’t happen. In both cases, the maximum leverage is to not want it — and to be begged to do it. He and his staff are trying to be as Shermanesque as it gets. 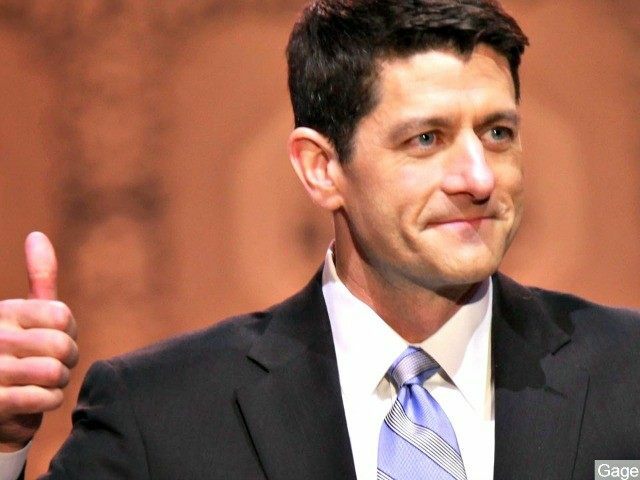 Ryan repeated his lack of interest Monday morning in an interview from Israel with radio host Hugh Hewitt. Of course in this environment, saying you don’t want the job is the only way to get it. If he was seen to be angling for it, he’d be stained and disqualified by the current mess.